Located on the edge of the Lincolnshire Wolds close to the historic market town of Louth, Manby House offers a beautiful and tranquil setting in which to stay. As we are a B&B we do not offer evening meals however the house is a short walk away from a fantastic Italian restaurant in the village called Bambarino's, which is very popular therefore we suggest booking in advance. 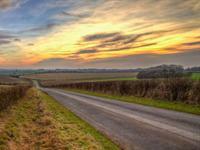 However, there are a variety of pubs and restaurants in Louth, which is 6.2 miles drive from Manby House. Some of the most secluded beaches in England are located in Lincolnshire, which is only a short drive from Manby House. 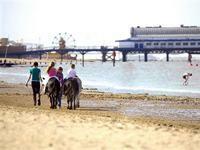 The beaches are located at Cleethorpes, Saltfleet, Mablethorpe, Anderby Creek, Donna Nook, Sutton on Sea and Skegness. Louth, a historic Georgian market town, with the tallest church spire of a parish church in England, oozes charm and charisma. Known for its many small specialist shops, Louth is definitely worth a visit. Places of interest are St. James’ church, Hubbards Hills, Louth Golf Course and the local museum. 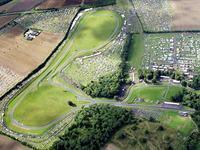 Cadwell Park (13 minute drive), also known as the Nuremberg of England, is a major British racing circuit. Famous for Bike racing, car racing and track days. One of the most prestigious events of the year is the British Superbike weekend at Cadwell Park, attracting up to 30,000 spectators. Manby House has many guests from Cadwell Park due to our extensive private, safe, on-site parking. Ideal for trailers and large vehicles. We also do early breakfasts to cater for early starts at the circuit. Manby House, being a former RAF property, has many links to the aviation history of the area. 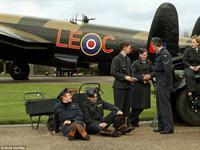 There are many places to visit, including East Kirkby where the Aviation Heritage Centre is located. Also worth a visit is RAF Coninsgby where the Battle of Britain flight is based and the Petwood Hotel at Woodhall Spa where the Dambusters used as a local drinking spot! 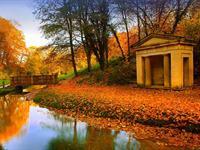 This area of outstanding natural beauty is not to be missed. There are many places to visit, including Tennyson’s birthplace at Somersby and various small charming villages located in the rolling hills. Villages of note are: Tetford, Belchford and Harrington. Whether it be a walking adventure or just lunch in one of the beautiful village pubs, it will be a memorable experience. 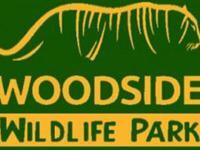 Woodside is a fun-packed visitor attraction, suitable for toddlers to grandmas. There are a variety of animals, which include: Tigers, Reptiles, Birds of prey, Wolves and Monkeys. A great day out!